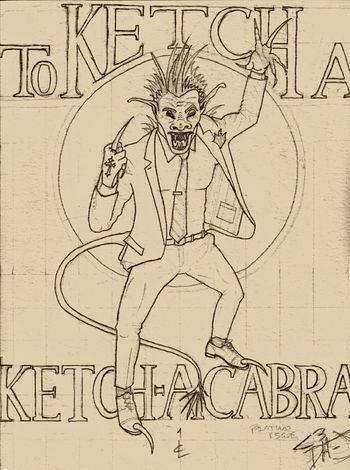 The Ketchacabra, child of Arthur Ketch and a chupacabra-human hybrid, is the brainchild and head-canon of David Haydn-Jones. Do you remember the “Chupacabra Incident”? Ketch certainly does. For deeper, more scarring reasons than you know. 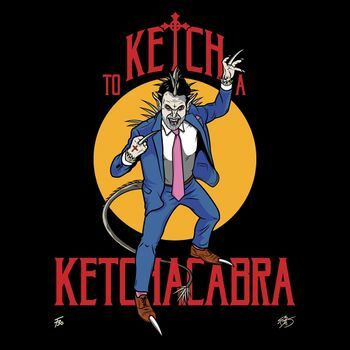 A long time ago, far, far away in the El Yunque rainforest, Ketch was tasked with assisting the Puerto Rican Men of Letters (PRMOL). His mission: Eliminating a large pack of chupacabra-human hybrids. Vastly outnumbered and in unfamiliar terrain, Ketch was taken prisoner and made to cower, grovel and serve at the Matriarch’s pleasure. The pack’s Alpha Female had made Ketch her man-servant. After months of captivity, an unnatural and forbidden relationship evolved between them. A relationship best left to the readers’ vivid imaginations and perhaps Ao3 ;) The ever-cunning Ketch exploited this pairing to secure his eventual escape but not without paying a haunting, psychic toll. This page was last edited on 22 March 2019, at 21:07.